When head lice hit, there is no time to waste. At Lice Busters we understand that the head louse parasite is not to be ignored. We take action to help you get rid of the bugs once and for all. 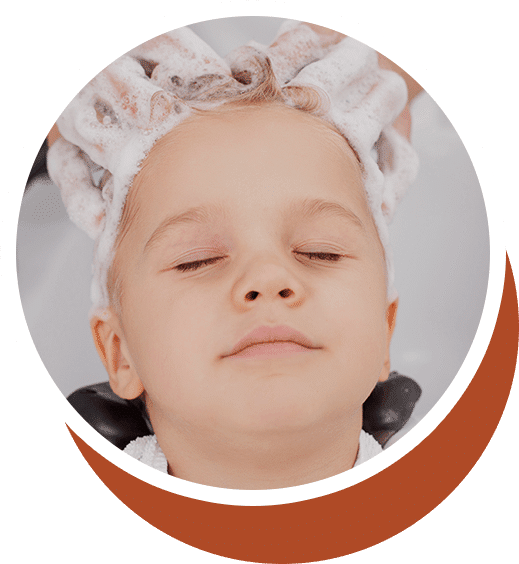 When you schedule an appointment at the Lice Busters Treatment Salon, you can count on first class service and a removal method that is guaranteed effective. It’s also the safest approach available. Our treatment is all-natural and completely chemical free—that’s peace of mind for parents. But unlike natural “home remedies” ours gets rid of the bugs in just one session. Our technicians are the best in the business—trained to spot every bug and nit and to remove them methodically so you can rest assured that when you step out of our clinic, you’re lice free once and for all. No one is safe from the wrath of head lice—no matter what the color, type or length of your hair. Indeed, many of us fall prey to the erroneous notion that the cleaner your hair, the greater your immunity. This couldn’t be further from the truth, seeing as genetic mutations have bred a new species of head lice called “super lice” that are, by definition, superior in strength. Besides being partial to clean, navigable hair, they are incredibly immune to Pyrethroids, commonly found in over-the-counter treatment. Know your enemy before you retaliate. We provide 100 percent natural and guaranteed lice removal treatment with professional services in Miami, Broward, Orlando and New York. With extended evening and weekend hours, same day appointments and centrally located treatment centers, we’re the fast, convenient choice in lice removal. For more information or to schedule your appointment, call us today!